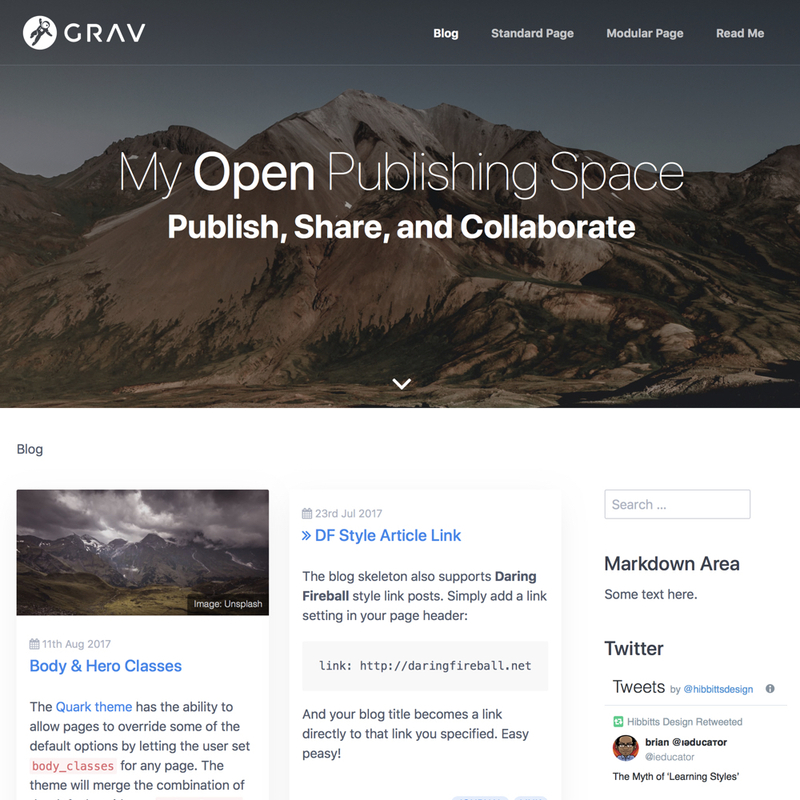 Open Publishing Space with Git Sync is designed to publish, share and collaboratively edit Markdown-based content using the modern flat-file Grav CMS. I am happy to share the news that a customized version of the new Grav default theme Quark, using the Lightweight, Responsive and Modern CSS Framework Spectre CSS Framework, is now the standard Open Publishing Space theme! The original Open Publishing Space theme, a customized version of the Antimatter theme, is still available. With the most recent release of the Grav Open Course Hub, site authors can insert H5P content (hosted on h5p.org) into any page using a simple Shortcode (i.e. ). In addition, a new H5P button is now available in the Admin Panel page editor to make using the H5P Shortcode even easier!